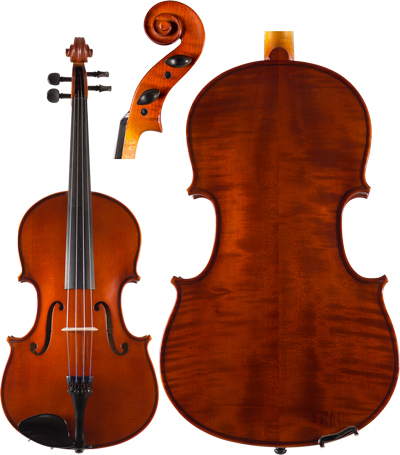 Each Viola is manufactured by one of the leading suppliers of Bowed Instruments in the United States. 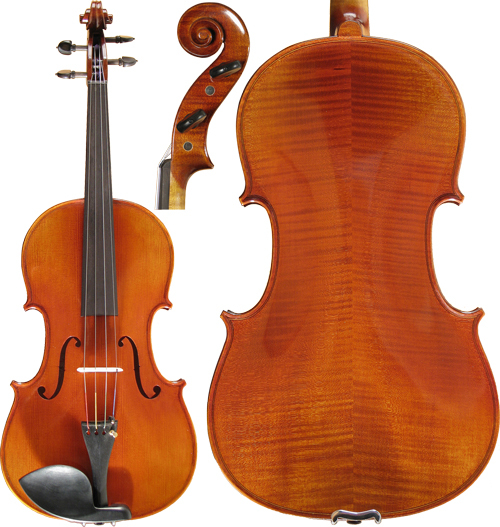 As you peruse our violas, you will find a full line of bowed instruments from beginning through professional. 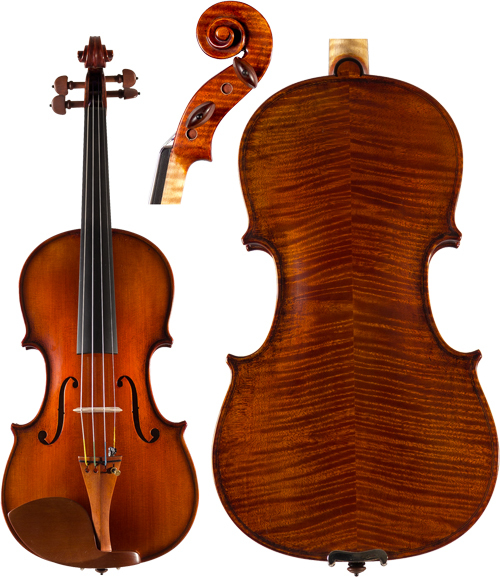 Each instrument is hand-made using aged natural dry maple wood and aged spruce. 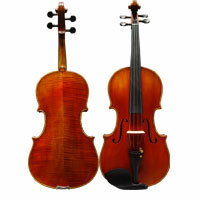 Great selection of violas for the beginning to intermediate student. 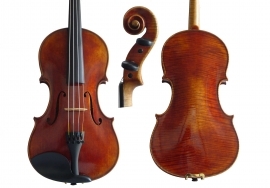 Every instrument is inspected, set-up, and professionally adjusted before it is shipped. Excellent intermediate student violas. 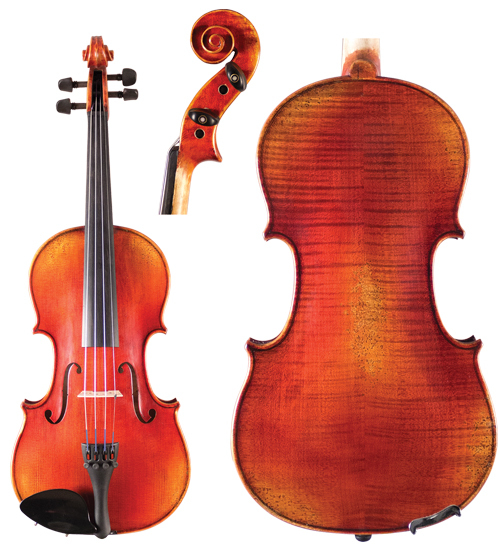 Each hand-crafted and professionally finished to produce a nicely constructed instrument. In addition, these instruments produce even tone qualities of various richness and depth, and have plenty of resonance throughout. Excellent advancing level student violas. 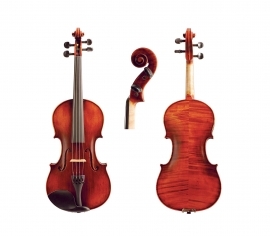 Each hand-crafted and professionally finished to produce a nicely constructed instrument. In addition, these instruments are hand-crafted with well seasoned tone woods producing an even rich tone quality and a clear big sound. 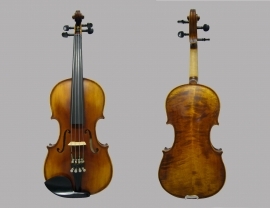 Handcrafted violas from the European tradition. 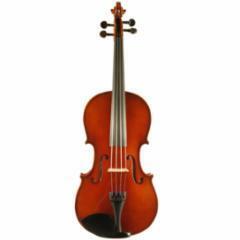 A great choice of instrument for the beginning through intermediate student. Professional set-up and adjustments. 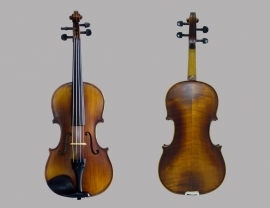 Handcrafted European violas. 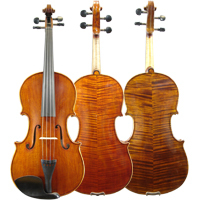 Made by experienced luthiers at the Kremona Studio, a company whose history spans 100 years. 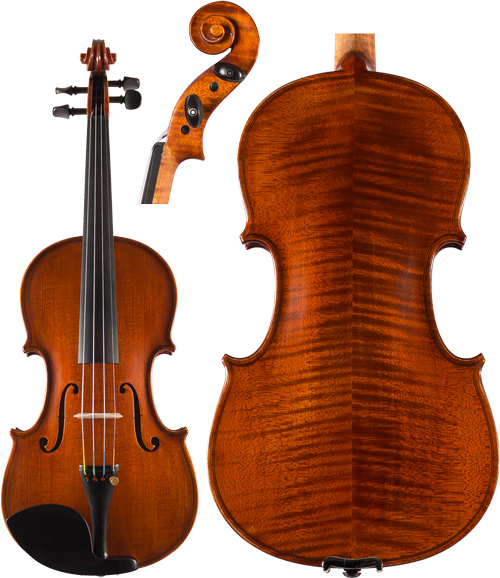 "Each model is made with exceptional attention to detail, perfect varnish and precise selection of well-seasoned wood from the Bulgarian mountains. 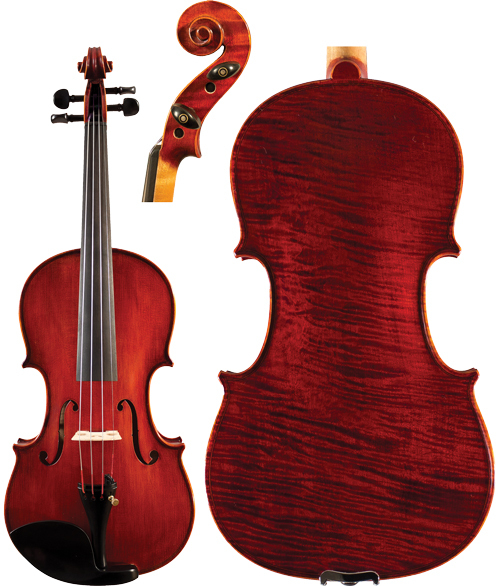 Beginning student viola. Very affordable. Professional set-up.